HomeBlogHome DecorDoomed Crystal Skull Shot Glass. 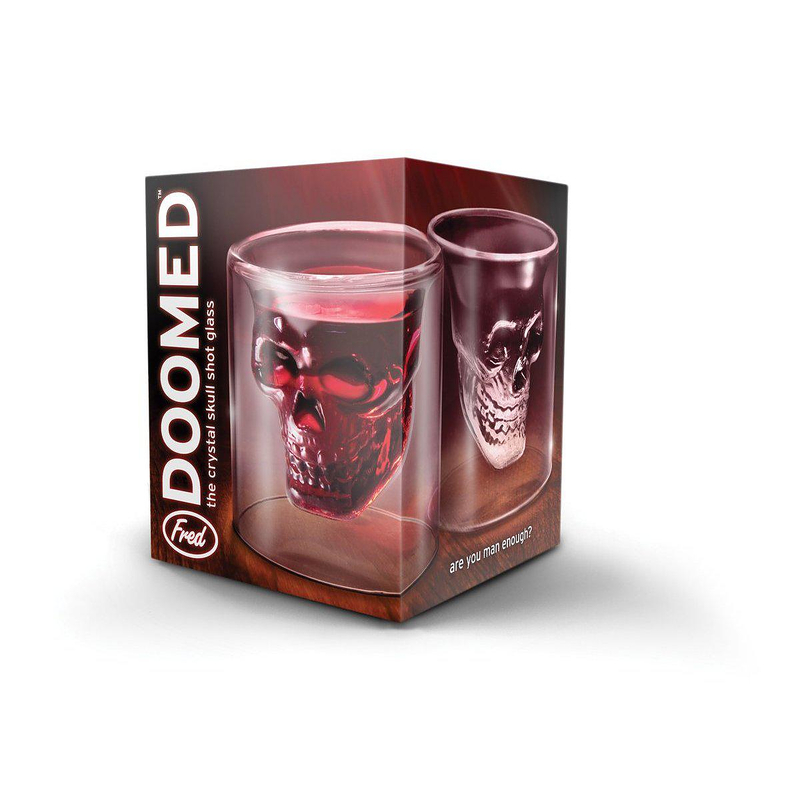 This unusual shot glass was inspired by the famous “The Skull of Doom”. This ancient Mayan relic was discovered on 1924, it is a crystal skull which according to Mayan legends has several powers, including the power of life and death. 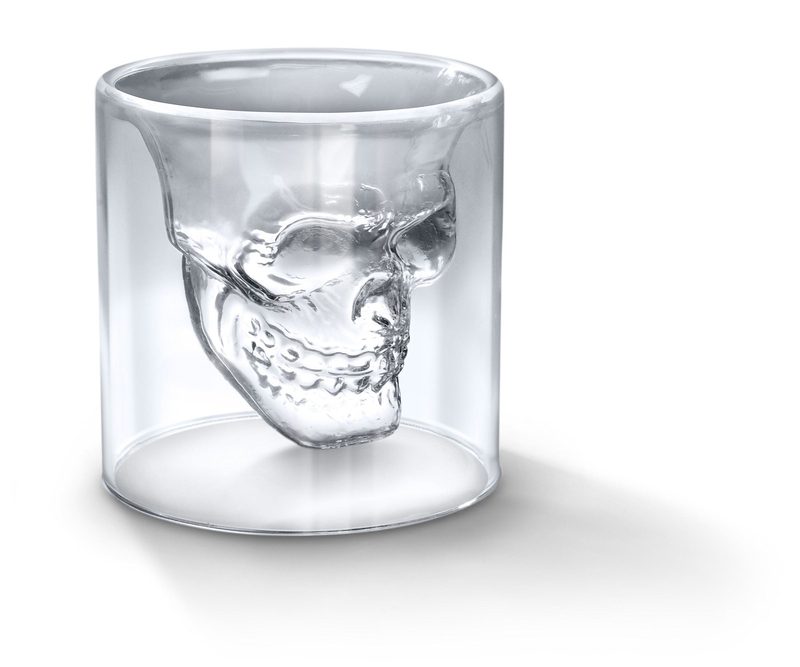 The Crystal Skull Shot Glass shares a similar name, it is made of double-walled hand blown borosilicate glass and the inner wall is shaped like a human skull. You pour inside your favorite spirit and it inhibits the inner skull coloring it quite nicely. 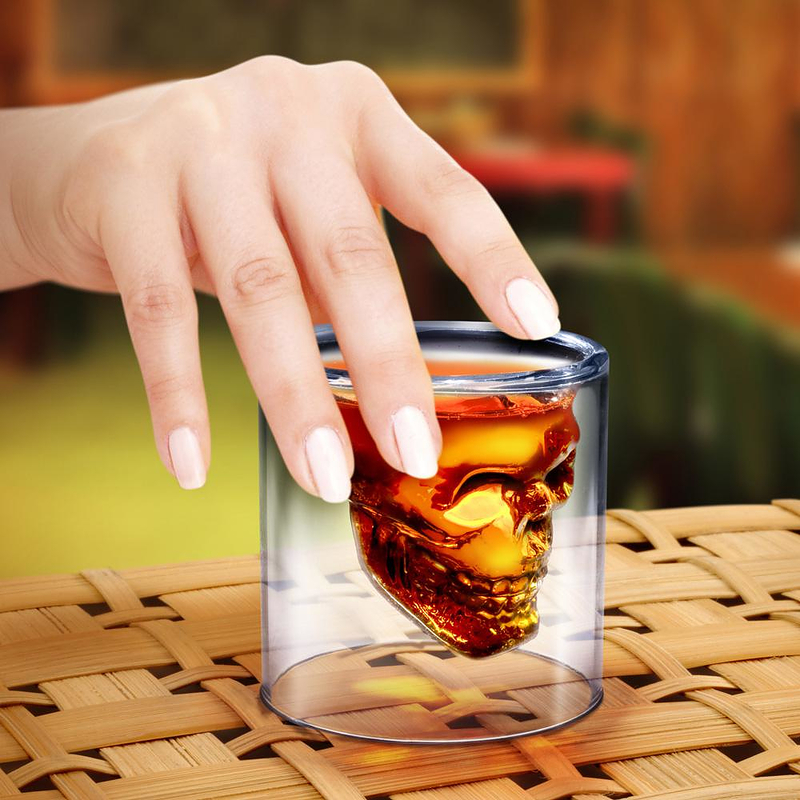 A morbid yet elegant shot glass that will draw attention at any party. 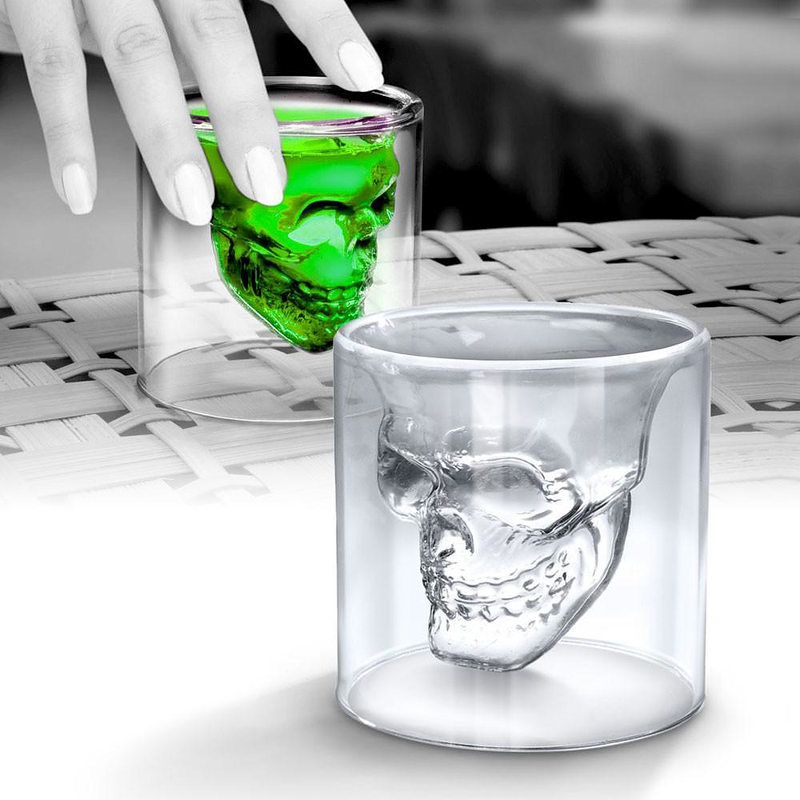 This unique shot glass looks wicked but is also functional, the double glass wall creates a thermal effect. So it will keep the spirit inside hot or cold for a longer period of time, also the glass will not sweat when filled with a cold beverage so you don’t have to use a coaster. Finally because it is made using borosilicate glass, the particles are held together very tightly, borosilicate glass is resistant to temperature swings, it will not become cloudy over time and it is dishwasher safe. 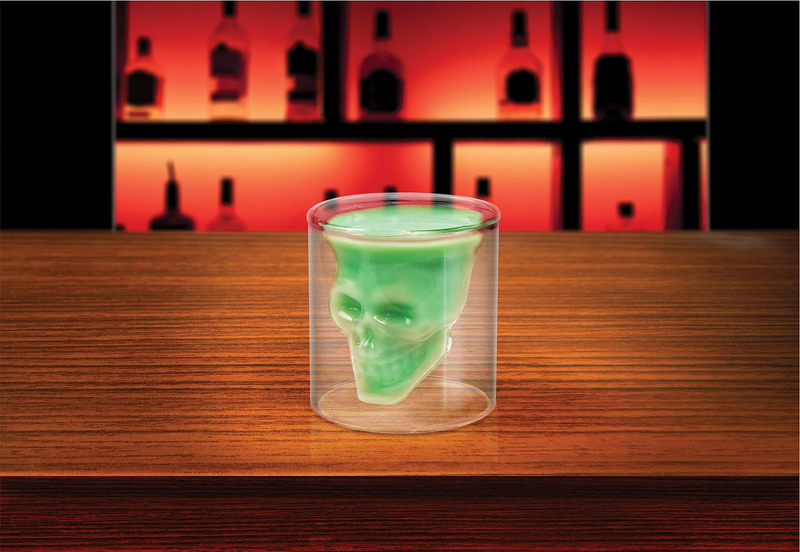 The liquid inside appears to be floating within the glass, thus creating an impressive effect, more so since the inner wall is shaped like a skull. A great conversation piece that embodies morbid yet elegant aesthetics and quality construction.